Check out the latest Monthly Mystery Box of Awesome News on My Subscription Addiction! Limited Edition Mystery Santa’s Christmas Bag of Awesome! 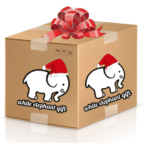 Limited Edition Mystery Box – White Elephant Gift Edition! Limited Edition Mystery Box of Light – Available Now!